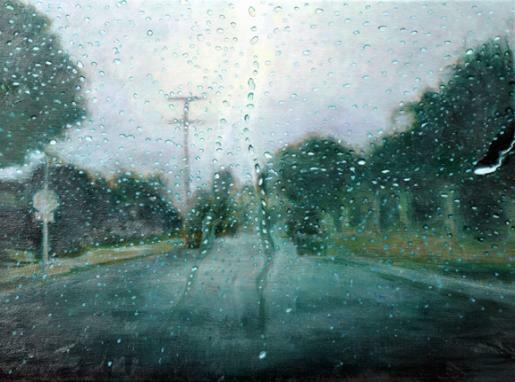 I've had no lack of inspiration for rainy day paintings this year! This is the second one in a series, the first can be found here. 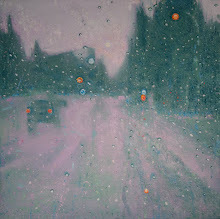 I like the contrast between the soft, misty background and the sharpness of the drips. While working on these I came across the saying, "No one raindrop thinks it caused the flood", which some say describes the mindset that brings about the social phenomenon called "diffusion of responsibility"; related to these other social phenomena; design by committee, the bystander effect, and the Nuremberg Defense. However, couldn't it also mean cooperation, gathering together to accomplish a common goal, or achieving something otherwise out of reach for a single individual? I've used this round glass palette for quite a while. I believe it's original purpose was meant to be as a table topper. It's heavy and thick, about 16" in diameter, and the edges are beveled and smooth. There is nothing wrong with it other than it seems a little bit small when I'm working on a larger canvas. For my new palette I'm using a glass kitchen counter protector. It has a crinkly surfaced top, but the bottom is smooth, so I flipped it over. It also has smooth beveled edges. There were little silicon pads on the bottom four corners which I found easy to scrape off - really easy, I just lifted an edge with a fingernail and then they just peeled off. I then stuck them on the other side - the side that was the top and is now the new bottom. 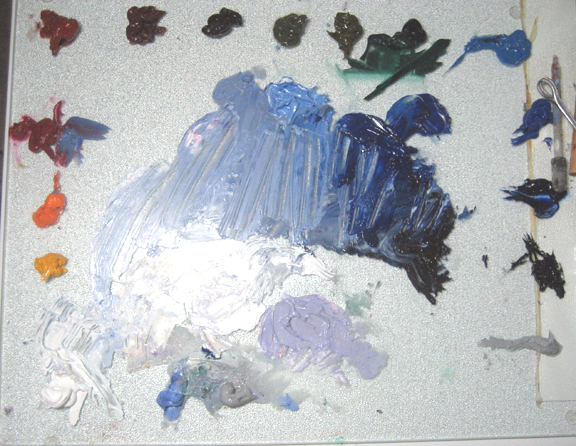 The rectangle fits well on the table next to my easel and provides a lot more room for mixing. Here it is, below, in use. 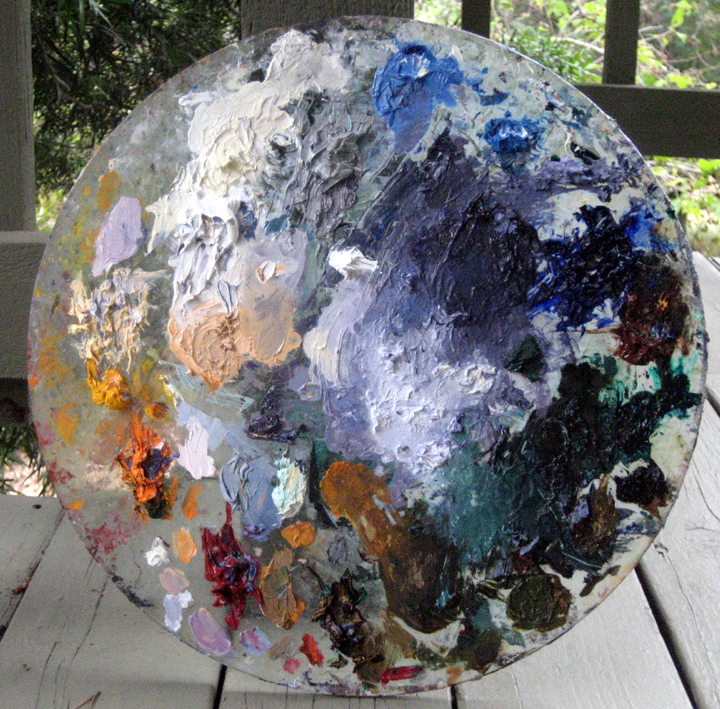 The colors at the moment, from the lower left corner and moving clockwise, are as follows: Titanium White, Hansa Yellow Deep, Cadmium Orange, Quindracinode Red, Venetian Red, Raw Sienna, Raw Umber, Grey Green, Olive Greem, Terre Verte, Cerulean Blue, Cobalt Blue, Ultramarine Blue, and Mars Black. I'm participating in this fundraiser with TAG Gallery and the U.S. Japan Council Earthquake Relief Fund. The event begins at 11am and continues all day, concluding with a reception from 4-6pm.﻿ I have donated three paintings towards this effort, from which 50% of proceeds will go directly to non governmental organization projects in the devastated Tohoku region of Japan. Recently I had a few artists over and we watched Jeremy Lipking's two hour demonstration of a portrait sketch on DVD. In the DVD Lipking paints a profile of his wife Danielle. As demos go the production value on this is high. We loved that there was an inset view of the model at times throughout so we can see what the artist sees as he paints. The demonstration is divided into chapters: Introductions, Materials, Blocking In, Painting Eyes, Nose, Lips, Ear, Hair and so on. He says very little as he goes, clearly absorbed in his work, however there is an alternate version with ongoing commentary with Tony Pro, the producer and an artist in his own right. Also included on the DVD is a written listing of materials; his palette, panels, and brushes. 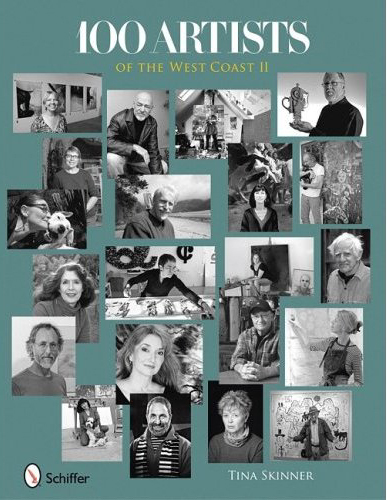 a selection of paintings and a bio written by Michael Zakian. I always find it a little bit magical to watch a painting unfold. It was even more fun with friends and a few snacks.